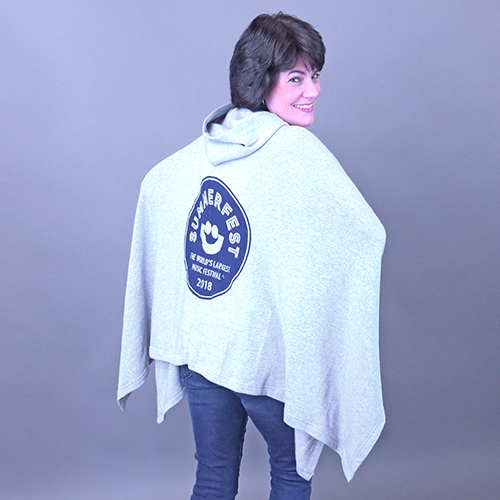 Stay dry, warm and stylish with this soft 2018 Summerfest poncho. 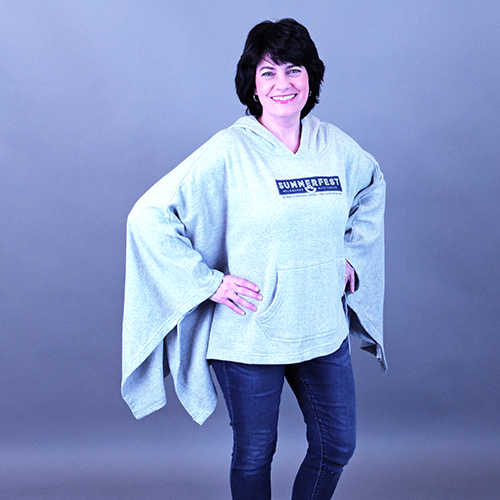 This grey heather poncho is so soft and comfy, made of sweatshirt fabric, it's like wearing a blanket. Copyright © 2019 The Summerfest Store. All rights reserved.